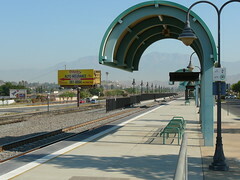 Connect from LA (Union Station) to Downtown Riverside using our Pedley Metrolink Station. 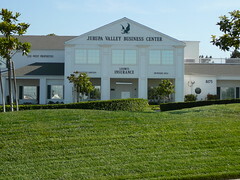 The Jurupa Valley Business Center. The location of our mailing address for JVIRC. The City of Jurupa Valley, Council-Elect, will have their first meeting on March 17th at 7:30 pm. Attached is the agenda for the meeting. March 17th 2011 - Jurupa Valley Council-Elect Agenda (PDF file). Approval by the Voters of Jurupa Valley in March 2011 is the next step to incorporation! 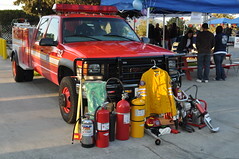 March 31st 2009 presentation by Gary Thompson from Winzler and Kelly: Jurupa Valley CFA Presentation (PDF file). March 13th 2009 Administrative Draft - Comprehensive Fiscal Analysis by Gary Thompson from Winzler and Kelly: Jurupa Valley CFA (PDF file). CALAFCO New City Transition White Paper by Gary Thompson from Winzler and Kelly: CALAFCO New City Transition White Paper (PDF file). We are committed to researching the pros and cons of incorporation and evaluating the wants and needs of our citizens. We'd like to hear from you. If you have questions, send them to us. If you have concerns, tell us what they are. If you know something we should know, tell us. Your emails will be researched and responded to and we will also post frequently asked submissions - pro or con, on this site along with any research we do on those issues. Website Content and Editing © 2008-2011 by Don Davies This page uses valid XHTML 1.0 Strict and valid CSS. This site is scripted using PHP.